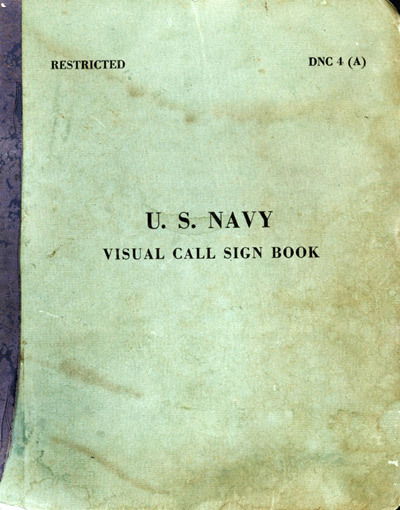 Visual Call Sign Book, DNC 4(A), 1945, is a U.S. Navy list of visual (as compared to radio) call signs used during WW II. We thank Ed Zajkowski for his generous loan of the original document used to create this online version. Please report any typos, or particularly annoying layout issues to the Mail Feedback Form for correction. Copyright © 2008, Historic Naval Ships Association.